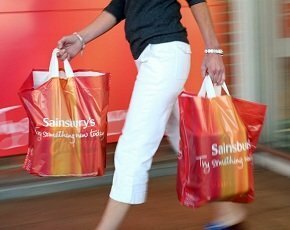 Supermarket chain Sainsbury’s has seen the online delivery arm of its business grow by over 10% in the past quarter. The grocer’s third quarter results also revealed its strongest ever sales day for online shopping was the 22 December, when it sold over £5m worth of goods. “During the quarter we launched a new groceries online website, which will make it easier for customers to navigate the site and include items which they may have forgotten or not previously considered,” said chief executive Justin King. The grocer also introduced an online delivery pass in the quarter to 4 January. King said more than 10,000 customers have purchased the pass, which is an upfront fee for deliveries of £40 or more for a year. Growth in online delivery is continuing to rise, and in November 2013 Sainsbury’s said it was processing more than 180,000 orders a week. Sainsbury’s total sales for its third quarter were up by 2.5% (including fuel), while like-for-like sales remained flat. King said the supermarket saw 28 million customer transactions in the seven-day run-up to Christmas, with customers spending £17m on 23 December and just under £7m in Sainsbury’s Local convenience stores on Christmas Eve. "This quarter has been characterised by a very tough sales environment throughout October and November, with customers saving up to treat their families over the Christmas period,” said King.